Today’s digital marketing atmosphere requires vigilant brand protection, sophisticated legal analysis, and practical planning of trademark filings. We oversee management of our clients trademark portfolios and develop legal strategies to meet their goals because we share our clients’ passions for branding, for staying competitive, and for protecting the goodwill and intellectual property assets of their organizations. Trademarks can be protected through federal registration and consultation on best practices for maintaining exclusivity to a mark. The trademark due diligence process including conducting a trademark search report, legal analysis and consultation on the search results, and drafting and filing of federal trademark application for trademark registration with United States Patent and Trademark Office. Trademarks are source identifiers, providing their owners exclusive rights to use brand names, designs, logos, and slogans to market their products. To customers they are unique visual and emotional cues that trigger special relationships with companies. We advise clients on all aspects of trademark, logo, slogan and trade dress acquisition and protection from initial search and clearance, to drafting and filing trademark applications for registration with the United States Patent and Trademark Office. By: DAVID N. SHARIFI, ESQ. 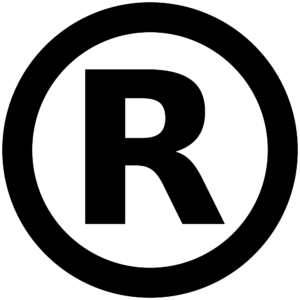 What are the Legal Benefits of a Registered Trademark? Does an Experienced Trademark Lawyer Matter? According to an empirical analysis of over 5,000,000 federal trademark applications filed between 1984 and 2012, trademark applicants represented by an experienced attorney have a significantly higher success rate of overcoming office actions. The results showed…. When the USPTO issued an office action objecting to an application, the applicant overcame the barrier 72% of the time if represented by counsel, but had only a 45% success rate if the applicant was pro se (without an attorney). Therefore, the data suggest that when responding to an office action, the presence of a lawyer makes a significant difference in overcoming this obstacle. Applicants with counsel had a success rate 60% higher (27 percentage points) than pro se applicants in overcoming office actions and proceeding to publication. Perhaps even more telling, the data suggest that lawyers also make a difference in overcoming office actions when the defect is easy to correct. According to the USPTO website, examining attorneys will generally transmit office actions by letter. However, “if only minor corrections are required, the examining attorney may contact the applicant by telephone or email (if the applicant has authorized communication by email).” Among applications in which an office action was transmitted by email but not by mail, those handled pro se proceeded to publication at a 39% rate, whereas those handled with the assistance of an attorney published at a 74% rate. This data unequivocally shows that even requests for minor changes have taken pro se applications off the track to publication much more frequently than applications that were prosecuted by lawyers.